Instagram is one of the most fast-growing networks nowadays with 400 million daily active users. So it’s obvious that brands create their Instagram accounts to profit the benefits from the potential of Instagram. Using this platform business can achieve such goals as showcase the products and services, attract new customers, drive awareness of the brand, increase sales and website visitors, and much more.. But before you start using Instagram as a tool for your business, learn how to act to have successful presence. What results do I plan to get while using Instagram: build awareness, attract potential customers, share company news, engage my audience or advertise my brand? How much time can I spend on Instagram? What Instagram features do I prefer to use? Basing on the answers got you can start planning your marketing strategy. To start using Instagram, firstly you need to create an account. 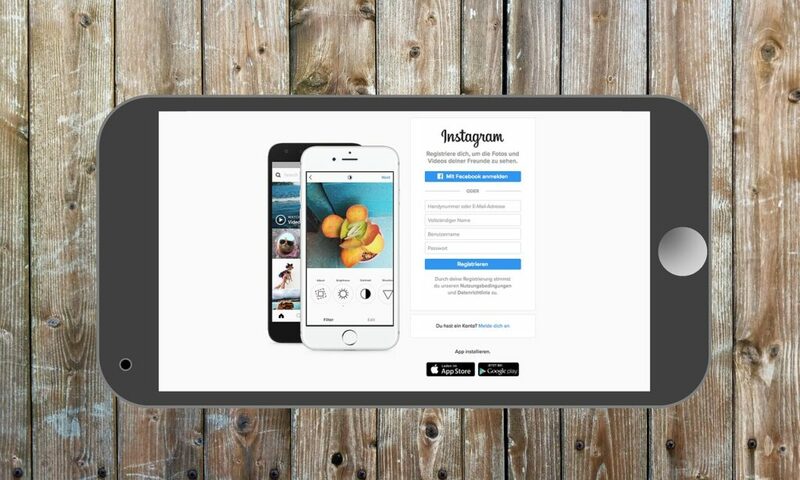 You can download an app or create an account in the web version of Instagram. To sign up you can use your e-mail or mobile number or connect your Instagram account to Facebook. In all cases you’ll need to invent your username and password. After signing up don’t forget to edit your profile: add a website url, write a brief but clear description in bio section (with your slogan and/or outline of what you do), add a profile photo (logo or logomark). To get the most of Instagram convert your account to a business one, it’s free. In the app open settings and tap ‘Switch to Business Profile’ then follow the prompts on the screen: you’ll need to connect your Instagram account to your business Facebook page. Don’t forget to enter store hours, business address or a phone number in pertinent business information. Business account gives you an access to such features as the ability to set up ads (photo, video carousel, story ads), the stats of your ad campaigns on Instagram, user insights and analytics of the user interactions with your profile. Now the account is ready! Instagram is all about photos and the content you post should be a significant part of your strategy. You can think about other types of content. Use your imagination to plan a collection of posts that will fascinate Instagram users. It’s great if your brand already has your style that you can apply to images, but if not it would be useful to create a style guide with all necessary parts: layout – it’s how the items are arranged on the background, colors – your palette of main brand’s colors, filters – ways of the photo improvement. Don’t miss that posts contain also captions and hashtags that should be used properly. Captions on Instagram are the posts descriptions up to 2200 characters. They can be used to add the product name, share stories, encourage users to engage a conversation or discussion. Hashtags are also important as they help users to find your posts among many others. To choose hashtags for your posts it’s better to make a research of most suitable and frequently used ones. But don’t use all of them at once: mix the most popular and niche hashtags so your post would be more visible for Instagram users. If you already have a large audience of Instagrammers, invent your brand hashtag and inspire them to add it to their posts. It’s important to keep your followers engaged and aware of the time when you’re posting. So you need to share photos and videos regularly, perfect frequency is one post per day but you can make additional posts as well and see if it works for your account. To choose the period of time for posts, study your followers: when they are mostly active on Instagram and ready to engage. Some stats say that the best time to post is at 5 PM on Wednesdays. Check yourself! There are already more than 1 million monthly active advertisers on Instagram and about 120 million users visit websites and get to know new businesses. The ad on Instagram is presented by the types of posts the individual users have: photo and video posts, carousels and stories. You choose a way you want to promote on Instagram and determine the time of promotion and budget as well. The most important feature of Instagram ad is that you can customize the audience you plan to reach by setting up the location, demographics, interests and so on. So if you can afford to spend some spare money, you should try advertising on Instagram. Instagram is the great source to get user insights and to measure your success. But to get this data you should use some Instagram tools. To research other users on Instagram: competitors, customers, influencers and others you should try Snoopreport service. It tracks user actions on Instagram as likes, comments and follows they make. This data is provided in weekly and monthly PDF reports and CSV reports for in-depth analytics containing metrics about users, their posts, geolocation, likebacks. Snoopreport will help to research the competitors growth strategies, user interests, influencers ways of engagement and get valuable user insights. To learn more about Snoopreport, visit the website https://snoopreport.com. Here are only a few but really important tips to start your business presence on Instagram. We hope they’ll be useful for you. Please, share some more advice of your own in comments!